Young Tanzanians don’t want your money. They want a chance. 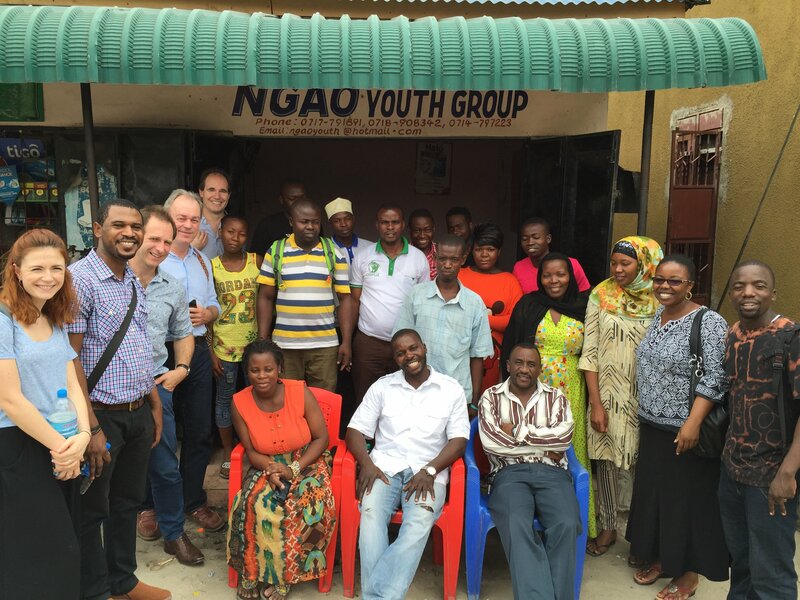 Earlier this year, three of Restless Development’s Entrepreneur Panel members (Jim Sewell, Mark Colquhoun and Christopher Jenkins) visited Restless Development Tanzania. Here they reflect on why the young people they met weren’t after their money but instead wanted something much more valuable. We arrived in Tanzania with the hope of getting a deeper understanding of how Restless Development works on the ground. As entrepreneurs, we were particularly interested to learn about how Restless supports young people to set up businesses. However, we quickly found out that this wasn’t always the first priority. The Restless volunteers we met typically support groups of around 10-15 young people at any one time. One group we visited was from an area that suffered very badly from HIV, drugs and violence in its community. Naturally the volunteers focus to begin with was not on setting up businesses. To begin with they worked to unite the group socially, starting to address the social issues they face and slowly but surely build confidence and trust among the group and within the community. We saw the volunteers doing things like supporting them to work effectively as a team and training them on how to live healthy lives. We were impressed with how well they kept everybody engaged and looked forward to see how this could be applied to supporting their entrepreneurial ambitions. We should have seen it coming, but even at the business end of things (so to speak) we were surprised with what came next. Not one of the groups of young people wanted money. What they wanted was to continue to be supported by Restless in a much more valuable way. They wanted support with their business plans, financial handling, market research – all the aspects of setting up and running a business. Here it was in one refreshing moment – the Restless Development model. Autonomy and empowerment. The group received no seed funding. Instead, each member of the group had to invest 5,000 shillings (£1.50) per month of their own money for six months. Once they had proved their commitment and their ability to invest they were then able to borrow up to 90,000 shillings (£30) from the group, which has a 10% fee attached when they pay it back. When a member of the group wins a contract they take 20% of the profit and the rest goes into the group. At the end of the year, when things like school fees need paying, a proportion of the profits of the group are shared out amongst members and the remainder is reinvested in the group. Some members buy larger shares and therefore take a greater share of the profits. Access to capital for young people is almost impossible in Tanzania. They do not have houses and other collateral to borrow against and interest rates from banks and micro-finance tend to be well over 20%. But this scheme gives them a chance of accessing capital with modest amounts. One of the Restless team, Lawrence, has ingenious way of getting the young people to understand how they can save that initial amount. He takes out their mobile phones and asks how much they spend per month. He then asks how many conversations have made them any money. When they admit that none have, he encourages them to reduce the spending on their phones and invest the money instead. The members of the group now run a selection of small businesses: from collecting plastic bags and being paid to recycle them, selling vegetables, carrying grain from lorries to suppliers, hairdressers and others. The successes and failures of each are shared and learnt across groups. Two of them have been so empowered by the programme that they’re now standing for Parliament. Restless Development believes that if you just give money, none of this would have happened. Young people do not take ownership from hand-outs. To create real and lasting change, what they want is something different. They want empowerment through education and training, allowing them to take control of their own lives through sustainable economic progress. Or to put it more simply – they just want a chance.